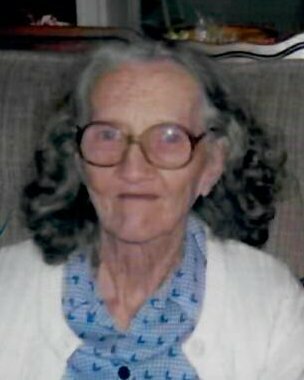 Obituary for Nellie Marie (Stanley) Brown | McCombs Funeral Home Inc.
Nellie Marie Brown, 96, of Neelys Landing, passed away Tuesday, April 2, 2019, at home. 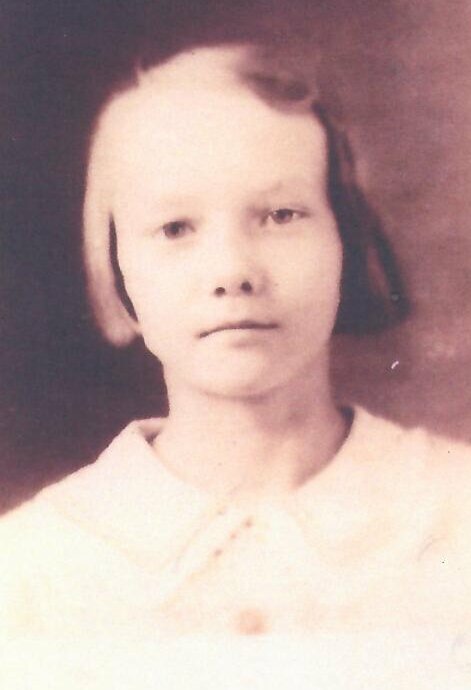 She was born November 9, 1922, in Neelys Landing, to Marshall and Nellie Lee Johnson Stanley. She and Paul Edward Brown were married December 7, 1941. Four children were born to their union. They had been married 58 years when Paul passed away December 31, 1999. Nellie attended the former High Hill Grade School and was a graduate of the former Fruitland High School. She worked many years at the shoe factory in Jackson. She joined Procter and Gamble on November 9, 1970 and retired January 31, 1984. Nellie loved to stay busy. She enjoyed attending New Bethel Baptist Church until health rendered her unable to go. Her hobbies included quilting, raising chickens, gardening vegetables and flowers, and canning, but she loved nothing more than spending time with her grandchildren and great-grandchildren. Loving survivors include three children, William “Bill” (Mary) Brown of Jackson, Marie “Margaret” Morton of Cape Girardeau; and Brenda (Mark) Kneir of Cape Girardeau; nine grandchildren, Danny, Kevin, Daina, Steven, Jeff, Ethan, Keegan, Heather, and Cody; several great-grandchildren; and two great-great-grandchildren. She was preceded in death by her husband; a son, Wesley Brown; a granddaughter, Tammy Hoffman; five siblings, Dorothy Von Schlutter, Louise Sides, Mary Alice McBride, Donald Stanley, Thomas “Wesley” Stanley; and an infant half-brother, Leo Stanley. Visitation is from 10 a.m. to service time, Friday, April 5, 2019, at McCombs Funeral Home and Cremation Center in Jackson. The funeral is at 1 p.m., Friday, April 5, 2019, at the funeral home, with the Rev. John Rhodes officiating. Burial will follow at Russell Heights Cemetery in Jackson. Memorials may take the form of contributions to New Bethel Cemetery or High Hill Cemetery.